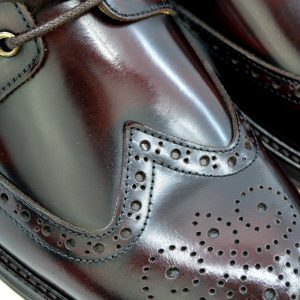 Oxblood Brown or Black Brogues, what colour? Brogues come in many colours and many shades, not to mention styles, but I wanted to concentrate on colours. When buying a shoe you should consider ‘what I am going to wear them with‘, and that will help you to consider the most appropriate colour. So, are the shoes mainly to go with jeans for a casual look, or suited and booted? I think about where I am going to be wearing the shoes. So for instance, I go to at least one Northern Soul do a month, where I may be wearing jeans or trousers. I am not likely to have a suit on at this kind of event. During the day though, I am more formal at work, and I tend to stick with classic business Black and Greys, and on occasion a dark blue pin stripe suit. 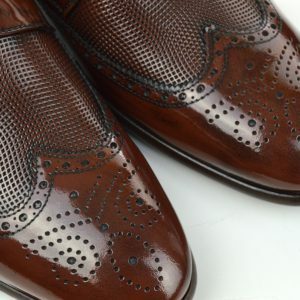 A brown brogue is a very versatile colour, and possibly goes with any other colour of trouser including blue jeans. The one time i would say it doesn’t work is with black trousers or a black suit. Aside from black, brown will go with every colour under the sun. 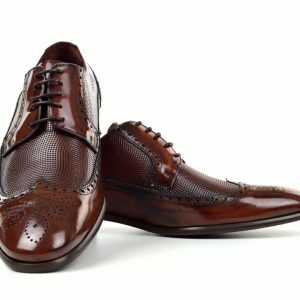 From navy to grey and green to burgundy, the deeper, richer, tones of brown and tan shoes will much better compliment a wider variety of colours than black shoes – making them much more versatile. Not just a Skinhead look, this brogue colour with jeans is very popular in the UK at the moment. 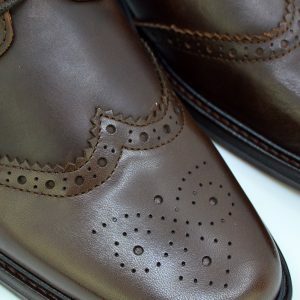 A light brown (Tan) brogue is very popular with the Smart Skin. Oxford Paul ,who lives around here, has several pairs which he combines with light faded jeans and a classic ‘Twisted Ben Sherman’. Worn with confidence it is a good striking look. 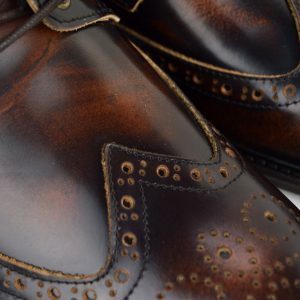 One style that DNA Groove do, is the brown suede brogues. I love some of DNA’s designs, think they are really good, especially the basket weavers. All DNA Grooves design are very MOD. The dark browns ones I like the most, the brogue fits well with the colour and styling. Again shading plays a part, because the darker the shoe, the easier it sits with other trouser colour. 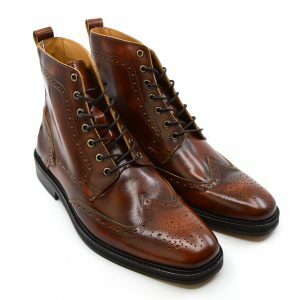 So if you are thinking of buying a brogue, perhaps brown is the best option? 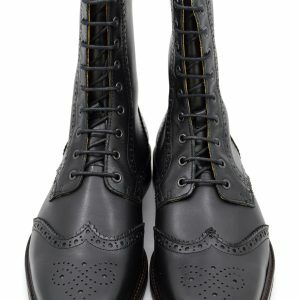 Like these Black Brogues from Churches, £390 ! 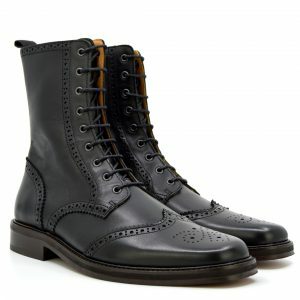 Black brogues are still a worthy contender though. Black goes with everything, but in my opinion can sometimes look a little stark. Meaning black is more for formal occasions. I wear black loafers with dark blue jeans, but have never liked the faded jeans with black shoe look, too 80’s for me! For work, I have a pair of Half Brogue Loakes in black. 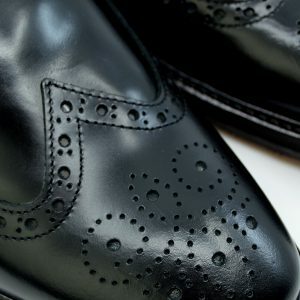 The lacing style is an Oxford, which give the shoe a more formal office look. I wouldn’t wear these with jeans, they just dont sit right. The front is more pointed. 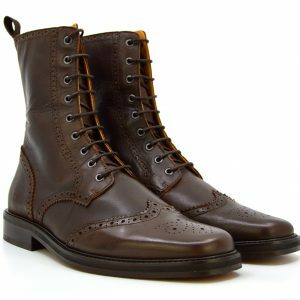 I wear this make of brogue because I want something tough which will last. I have seen the Oxford style black shoes at a Northern Soul do only this weekend, but whilst great for dancing and functional, I dont think it is a great looker! 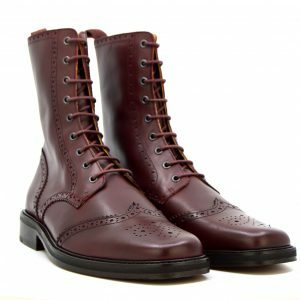 Which brings me on neatly to Oxblood Brogues. This is my fav colour of Brogue. 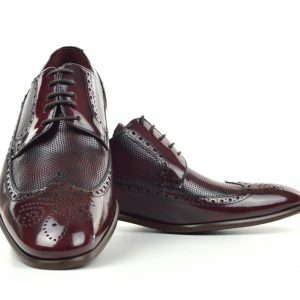 I don’t think all styles of Brogues suit Oxblood and I don’t think it is for every occasion. What i do like though, is that it stands out enough to say ‘This is a going out shoe’. Oxblood isn’t everyone’s first choice of colour by any stretch of the imagination, but they are in fact one of the more versatile colours that you can wear. Oxbloods are compatible with all shades of grey, most navy hues and are perhaps a little bit more suitable when worn with black. 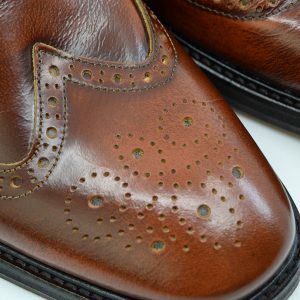 Not dissimilar to brown brogues, they work with pretty much every colour you could think of. When we were in Brighton recently, it was Remembrance Sunday, a guy walked past in Black Crombie, Dark Grey Trousers and Oxblood Loake Royal Loafers. The look was very smart and worked well. The same shoe could then be worn with jeans. 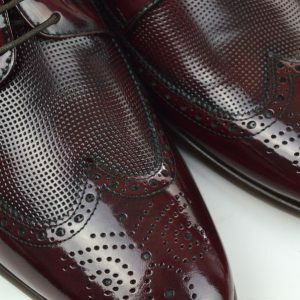 One style of oxblood brogue I have seen that looks very good, is combined with a Tassel Loafer. Not two styles you would immediately put together. The shoe is not a heavy shoe, but has a light sole. Terry my friend who owns them wears them with 16inch bottom blue trousers. The loafer part stops to show just the right amount of sock. The shoe is not an obvious choice and not one you see lots, but worn in the right way, which terry does, is very MOD. The make of these is Mario Bruni. Very nice but not for the faint hearted. I would go so far to say that should you wish to make an easy, simple statement, Oxblood is the way to go. Oxblood can be utilised in a near identical fashion as brown but the colour is bolder, more interesting and definitely more individual. I have seen the style work well with a suit and also with jeans at Northern Soul do’s. 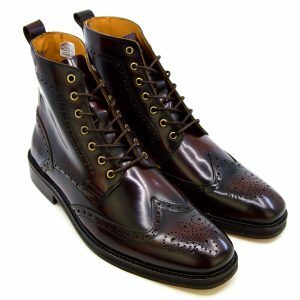 My favourite Oxblood Brogues, The Loake Royal. This is one mother of a shoe. Great with a suit, great with jeans at a soul do! They last ages, and why we sell them. 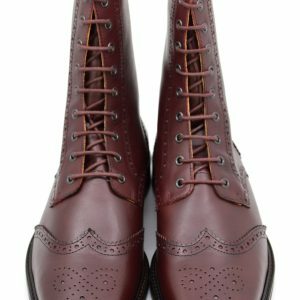 The oxblood colour lends itself well to being that little bit smarter than the Light Brown Brogue. 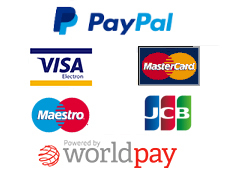 One issue you might have is that they are an unquestionable step in a new direction for most of the population, so you will have to wear them with a great deal of confidence to pull them off convincingly. But in the main you are buying these shoes to go out in, so why not stand out and wear them with pride! 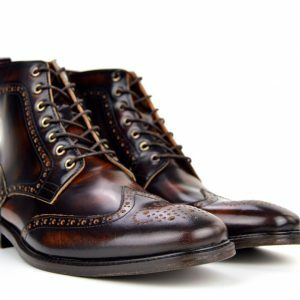 Here are few examples of Brogue Shoes we like. This entry was posted in Brogues and tagged black brogues, brown brogues, oxblood brogues, oxblood shoe, oxblood shoes, Sixties, SKA, Two Tone. Two Colour MOD Shoes – Cool or MOD parody?